What isn’t luxurious about velvet bow ties? 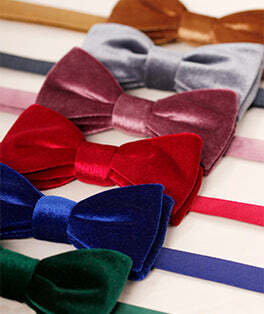 Let out your inner James Bond by adding one of our velvet bow ties to your tuxedo or dinner jacket for a classic finish. Our velvet bow ties come in a great range of colours to offer you a bow tie for every occasion and to ensure you always have something unique in your wardrobe.